During the day, Dave Barr can often be found at least thirty metres up a tower, installing dishes, flat panels or even shrouded yagi. It’s a tough job, but Dave is well qualified. What we want to know is – how does he spend his weekends? Recently Dave took part in the Keswick to Barrow walk, helping the LARS Drifters team raise over £1500 for local charities, St John’s Hospice and Unique Kidz and Co. 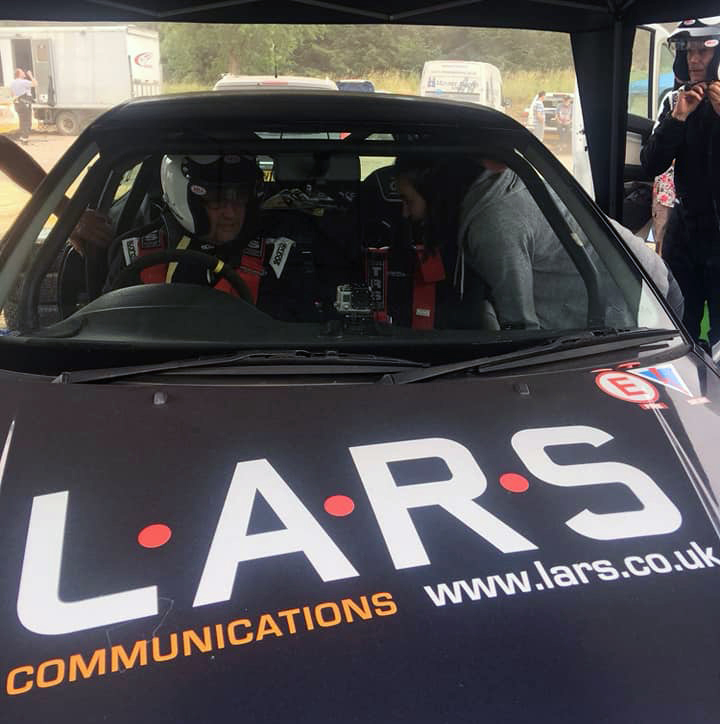 However, last weekend he clearly fancied something a little more adrenalin-fuelled, swapping his walking boots and compass for driving gloves and rally overalls as he took part in the Legends Fire Greystoke Stages Rally. The event, which takes place to the west of Penrith in Cumbria, is made up of thirty-eight miles of high quality stages and in-forest servicing. It’s a very popular event in the Cumbria region and is one of the only gravel events in the country, featuring zero road mileage for competitors. A huge well done to Dave and Neil from everyone at LARS.